Believe it or not, even I sometimes make mistakes. I know, I know, I’m as surprised as anyone, but I’m human. So, I’ve come to correct my errors. In the post I wrote about research, I spelled Jane Austen as Jane “Austin.” (I imagine she would be the writer of stories about women worrying about finding a suitable marriage while at SXSW). I could have let that typo go–I’m sure there are many more I’ve missed–but the rotted, gnarled bits that remain of my English Lit-major heart will not allow it. For this I must be shamed, and publicly. Also, I have to correct that meme I just posted. 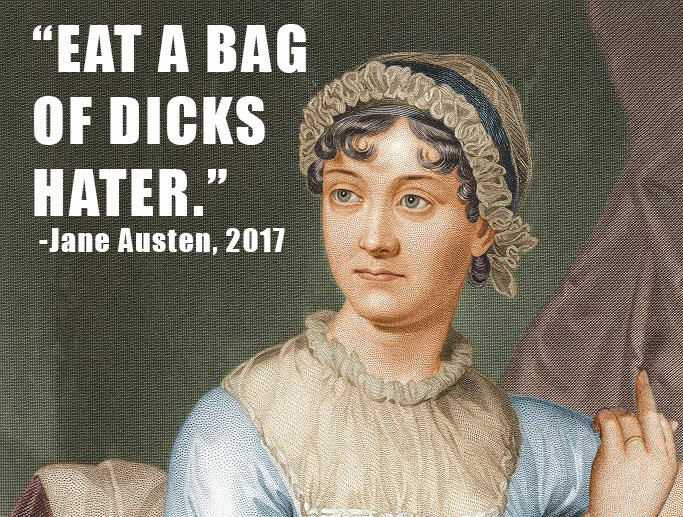 Obviously Jane Austen would’ve said that in 1817. And, finally, I have to correct the grievous error of not yet giving master artist Tim Fielder a shout out for giving me the idea to do 31 DoK. And also a shout out for being Spider-Man. Thanks Tim! Just your friendly neighborhood Dieselfunkateer! When I started this blog, it was 2016. 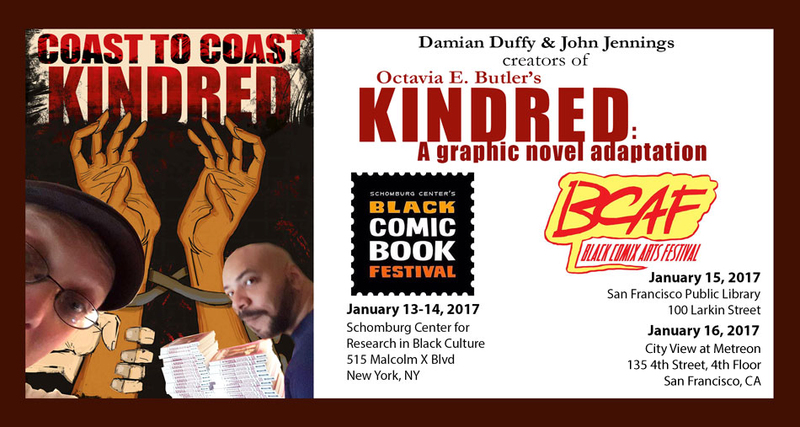 Donald Trump had just been elected, well-liked celebrities were dying, one after the other, and it would be a month before the Kindred graphic novel would be released. Now, here we are, 30 days later, in the year 2017, and so much has changed. 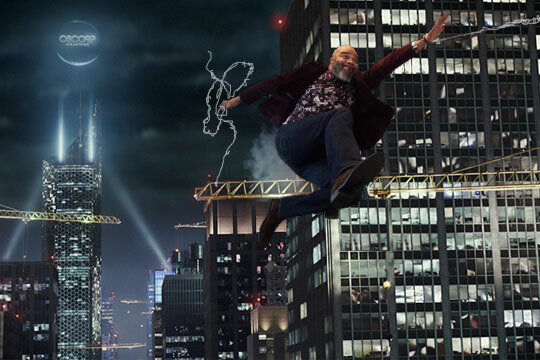 Because now the graphic novel is just 2 days from being released. Okay, I know not that much has changed, but give me a break. There’s only so many things I can correct. 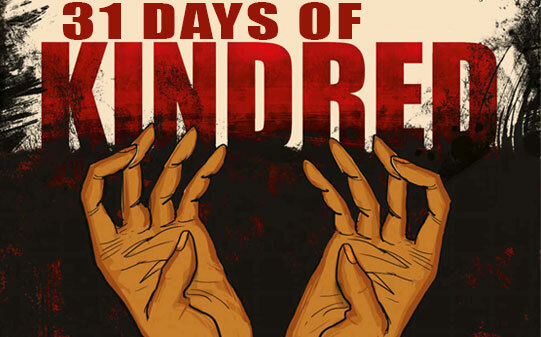 See you tomorrow for some parting thoughts on the Ultimate Day of 31 Days of Kindred. 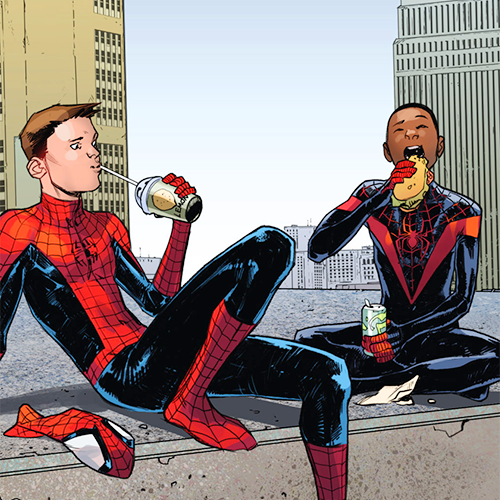 Brian Michael Bendis is going to be at the Black Comix Art Festival in San Francisco, so I can finally ask him: Since Miles Morales took up the role last, wasn’t Peter Parker really just the Penultimate Spider-Man?